March has been a fantastic month for Rake Mark Website Design both new ventures in the pipeline and new website launches, one of which is Benson Sports Massage of Stafford. This Stafford based company is owned and run by Dave Benson Bsc (Hons). Dave is extremely knowledgeable (and qualified) in many areas of Sport, Exercise and Nutrition and this knowledge places him in a very advantageous position when it comes to Sports Massage, injury diagnose and preventative sports massage treatments. 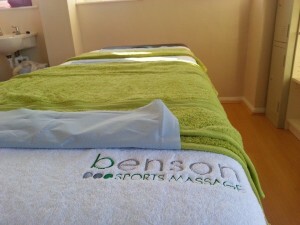 Based in Stafford’s LS Fitness Gym, Benson Sports Massage have their own Private room dedicated and equipped for a very professional Sports Massage. Benson Personal Training website gives information of treatments, training plans, nutrition and gives clients the opportunity to budget their training or treatment by purchasing ahead of time for discounted prices. The eCommerce website also contains a blog that Dave keeps updated with Massage, Training and Nutritional information. The website Newsletter Signup is also on the home page to ensure that you get regular updates on offers & promotions etc. Amongst many others Dave Benson Sports Massage already boasts athlete Stacy Johnson and Boxer Steve Ecclestone (owner of LS Fitness In Stafford) and has already increased opening hours due to high demand. Rake Mark Web Design are pleased with another happy customer and VERY successful launch!